The finance ministry wants India’s public sector banks to put in place a new human resource (HR) plan by the end of December, and submit the plan to the government, the majority owner of such banks, for “record and review". The ministry has accepted as many as 56 recommendations of a committee that was set up in October 2009 to study HR issues at these banks, headed by former Bank of Baroda chief A.K. Khandelwal. It has also constituted an advisory group to guide each bank to formulate HR policies. The tenure of this panel is one year and can be extended. Before we discuss the critical HR issues, let’s take a close look at some of the salient features of the profile of the public sector banking industry that roughly accounts for about three-fourths of banking assets in India. I don’t have the latest figures and most numbers that I am quoting here are at least one year old. 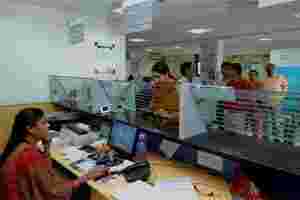 There are about 750,000 employees in public sector banks and the officer to clerk ratio varies from bank to bank. For instance, Punjab and Sind Bank, the smallest among public sector banks, has less than three clerks for every 10 officers, while State Bank of India, the nation’s largest lender, has 15 clerks for 10 officers. Similarly, business per employee varies between ₹ 21.16 crore and ₹ 5.95 crore and net profit per branch is ₹ 1.92 crore at the highest level and ₹ 0.13 crore at the lowest. For some banks, staff cost as a percentage of overall operating cost is as high as 75%, while for a few others it is less than 50%. Out of every 100 bank employees, 17 are women. Finally, about half of bank employees and one-third of the top management will retire in next 10 years. This is no surprise as the average age of general managers, the top tier of management, is 57 years; deputy general managers, 56 years, and assistant general managers, 55 years. Following the ministry’s acceptance of many recommendations of the Khandelwal panel, each bank will carry out a detailed and structured HR exercise every year; they will also prepare a road map to reach the officer to clerk ratio of 1:0.5 (10 officers for every five clerks) for metro and urban branches; and 1:0.75 for rural and semi-urban branches in next three years. Besides, minimum qualification for clerical recruitment will be graduation (currently it is senior secondary certificate) and fresh recruitment of clerks will be restricted to rural and semi-urban branches where they will have to spend at least three years. Finally, the public sector banks will introduce and carry out HR audit once in two years and revisit all internal settlements that affect mobility, flexible utilization of staff, productivity, performance and customer service. Most of these are peripheral issues and the ministry is silent on the critical HR issues such as bank-specific compensation as opposed to the current practice of industry-wide compensation package; variable pay for employees related to their performance and higher compensation for the CEOs. If the public sector banks want to attract talent from the market and beat peers among private and foreign banks through product innovations and better customer service, the government needs to address these issues quickly. In May 2010, public sector bank employees received a 17.5% wage increase after their unions signed a five-year agreement with the Indian Banks’ Association (IBA), a national bankers’ lobby. The pattern and the structure of wages for employees of public sector banks have not changed since 1966, when the first such settlement was signed. Apart from public sector banks, most old private and foreign banks in India are also covered by this wage pact. However, old private and foreign banks have only the salaries of their clerical workers covered by this pact, unlike state-run banks whose officers, too, are part of the wage agreement. Twenty years ago, a panel headed by former Reserve Bank of India governor M. Narasimham, that looked into banking reforms, first mooted the idea of dismantling the industry-wide wage pact and recommended bank-specific compensation package. The industry does not need a standardized wage structure when productivity of employees and profitability of banks are different from each other. As the benchmark for such a pact is the paying capacity of the weakest of the banks, it is blatantly unfair to the employees of profitable banks. Indeed, banks can walk out of the pact, but no bank has done that yet as the CEOs feel that they do not have the negotiating skills. This is an excuse as they do not want to confront the powerful employees’ unions who want the industry pact to continue for fear of losing their hold on the industry. Even the profit-making banks should introduce a variable component in the compensation package to encourage talent and distinguish between competent and average employees. Finally, the government needs to raise the compensation package of the CEOs many times. Currently, a CEO gets ₹ 8 lakh as bonus if all annual targets are met. It should be immediately raised to ₹ 80 lakh. The ministry has accepted only those recommendations of the Khandelwal panel that will make cosmetic changes in HR policies. The real changes are far away. Those will come only when the government is ready to take on the powerful bank unions.